Welcome to “A Pride of Tales,” stories that celebrate the lives of lesbian, gay, bisexual, transgendered, questioning (and/or queer) and intersex people, and our allies (LGBTQIA). We are excited to create a resource for discovering and sharing these often overlooked tales. We are always in the process of discovering and adding new stories and links and expect to offer a wide range of stories including traditional tales (twisted and straightforward); personal stories; histories; and digital stories. We invite everyone to submit stories they have discovered through research and reading, stories they tell, and stories they have created that touch on these themes. 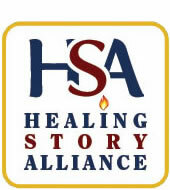 We believe that sharing stories heals wounds and connects us to ourselves and to each other. Stories invite us into the lives of the people who create or share them. Stories reveal that which has been invisible or unseen. Whether you identify as GLBTQA or not, these are important stories for us all. We hope you will enjoy them and spread the word about this site. If you want to add any of these tales to your own repertoire, and copyright information is unclear, please contact the contributor directly. Personal stories, in particular, are included for your enjoyment and as examples and inspiration to help you create your own and develop approaches to using personal story in your own work. We ask that these stories not be performed, recorded or reused for any commercial purpose without specific permission from HSA and the author. We would love to hear how a particular story has moved you. We welcome your reflections on these stories, or on how these and other stories have evoked memories or hidden stories within you. Please enjoy the offerings we have discovered so far and, again, please consider contributing your own tales or suggesting links that fit within the scope of this page. Those interested in submitting content are encouraged to send their submissions to Allison Cox at allison@dancingleaves.com or to Jamie Mayo at jamie@fertilizedspirit.com.